Stuck in Studio has a resource page that provides articles pertinent to students (job search, competitions, and tools) as well as directs students to other sites that can help them find what they need. The blog gives students a way to find inspiration. 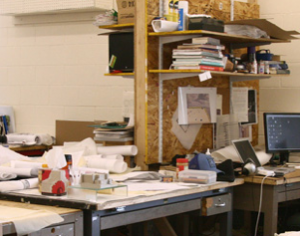 Unlike most architecture blogs, the Stuck in Studio Blog tries to provide articles that are specific to architecture students. Posts that tell what architecture programs are up to keep students connected, and posts about historical architecture add relevance to all that stuff that you cram into your brain for those architecture history courses. In the future we plan to grow as more and more students start using the site. Eventually there will be a forum so that you can share discussions with studio related topics and there will be a store where you can purchase architecture student apparel. As regards, you indigence to be can now approach photos and television you’ve shooting on your twist that unrecorded in your tv camera roll….